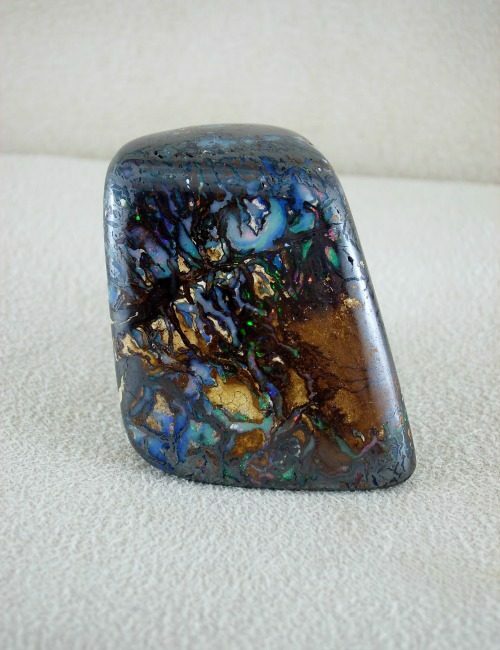 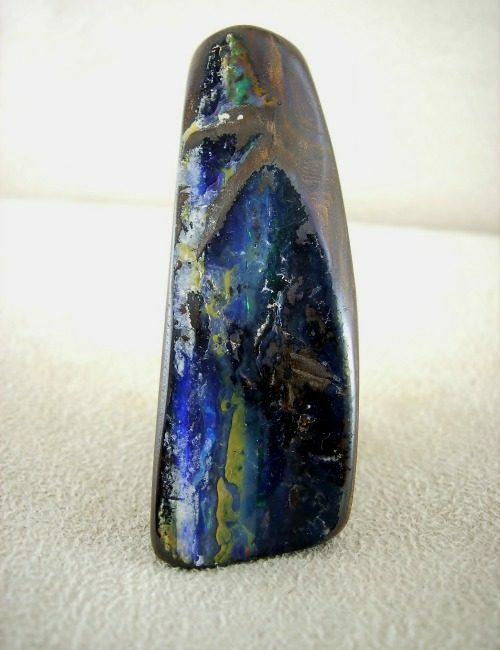 This boulder opal specimen has a organic look to the flowing pattern. 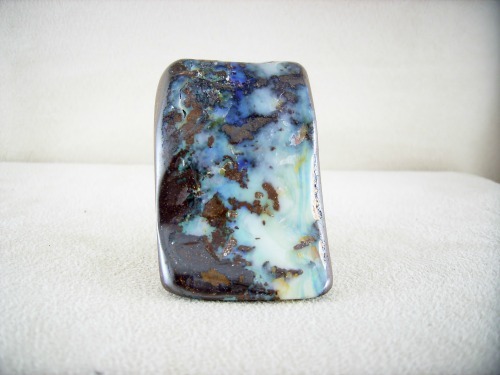 With pastel blue through to pastel turquoise toned opal it is a stunner. 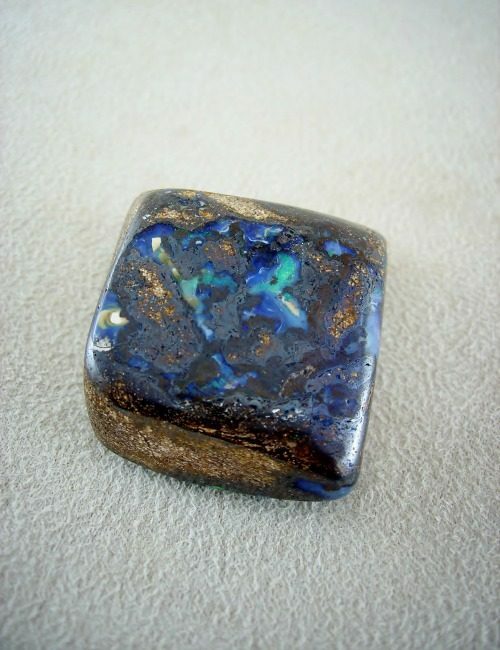 The specimen stands 6cm tall, 4cm across at the base, and 4.5cm deep at the base.